The digestive system is where your body breaks food down into smaller molecules. 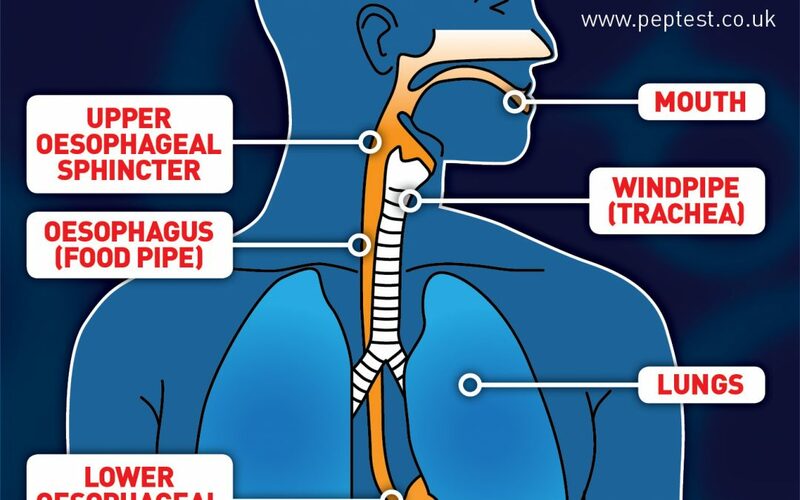 The oesophagus is the medical name for the gullet and is the long tube that carries food from the throat, also called the pharynx, to the stomach. When we swallow, food pushes into the oesophagus, where an involuntary process leads it down into the stomach. Digestion is helped by enzymes, which are biological catalysts. One of the main digestive enzymes is Pepsin, which is produced in the stomach to break down proteins into smaller peptides. 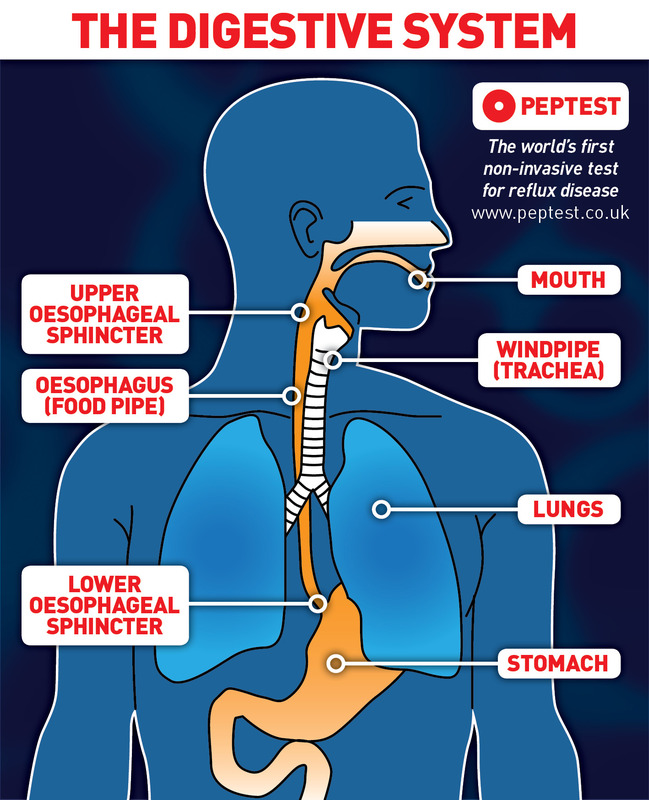 You can read more about the role of Pepsin in reflux in our recent blog post. The lower osophageal sphincter (LOS) is a band of muscles located where the oesophagus connects with the stomach. It acts like a valve, opening to let food fall into the stomach, then closing to prevent contents leaking out of the stomach. Sometimes the LOS becomes weakened and doesn’t close properly, allowing stomach contents to leak up into the oesophagus. When the highly acidic contents of the stomach reach the oesophagus, it can result in symptoms such as heartburn. The upper oesophageal sphincter is a ring of muscles at the top of the oesophagus – located at the back of the throat. It prevents air from entering into the oesophagus during breathing and oesophageal contents entering the pharynx. Sometimes, stomach contents may reflux all the way up the oesophagus and beyond the upper oesophageal sphincter into the airways and throat. There is also a risk of it passing into the lungs. This type of reflux is characterised by symptoms, such as hoarseness, sore throat, voice disorders, chronic cough and even asthma. The aspiration of gastric contents above the upper oesophageal sphincter is often termed as airway reflux and is characterised as a mist/aerosol gaseous reflux containing fine particles of pepsin and bile acids. This gaseous reflux can penetrate into the ears, nasal cavities, sinuses and the lungs causing damage and inflammation and upper airway reflux symptoms. Airway reflux is not uncommon and is observed in both adults and children and estimated to occur in around 20 per cent to as high as 30 per cent of the population of western countries, according to Professor Alyn H Morice at the University of Hull.